The new house and outbuildings have been grouped together round a courtyard to create a private space that is shielded from the existing house, stopping the new house overlooking the existing. A sense of place is created by grouping the garage block for the existing house to enclose the courtyard with an entrance through to the new house behind. 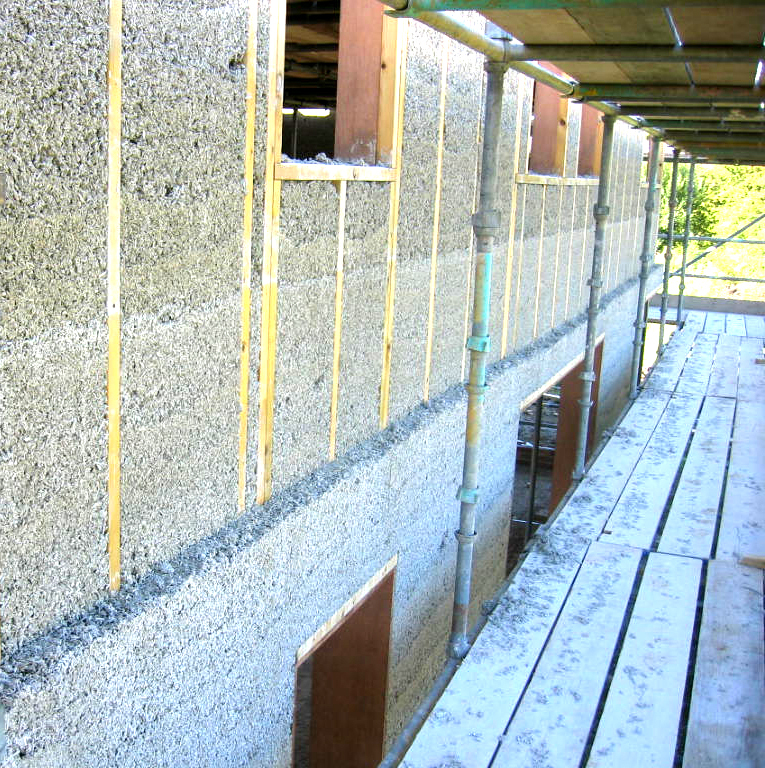 The new house and attached building have been designed in a contemporary manner using hemp and lime with a lime render for the ground floor walls and timber cladding for the upper floor walls. 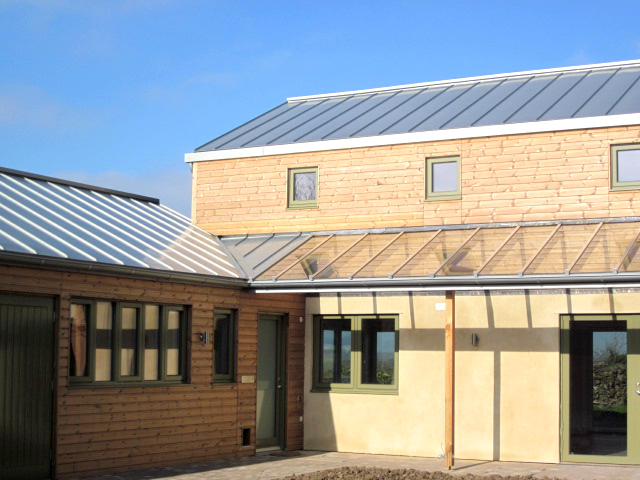 The roof to the house is zinc and the roof to the outbuilding is profiled galvanised steel cladding.